If you’re looking for a lazy girl’s guide to making homemade soup, I’ve got 19 fool-proof ideas I know your gonna love! A delicious homemade soup is the perfect solution for almost every occasion. Want a hearty weeknight dinner? Make a beef chili or taco soup! Not feeling so good? 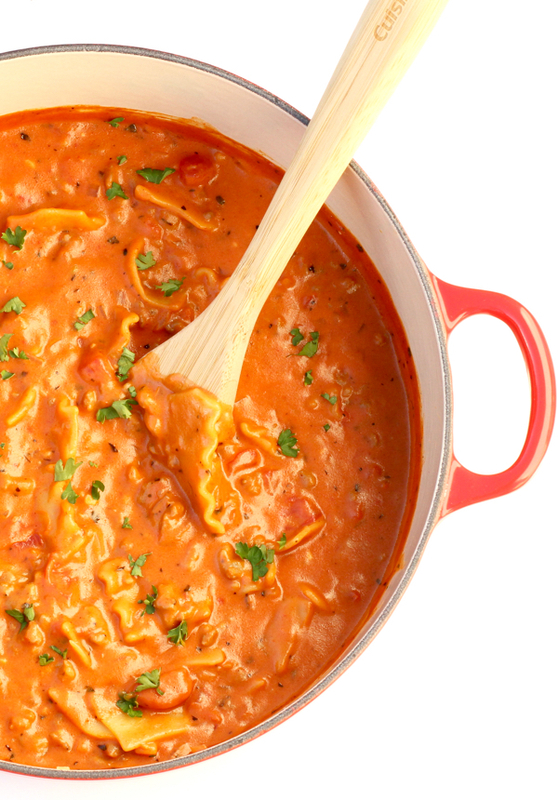 Make a homemade Chicken Noodle or Tomato Soup! Want a gourmet soup for a Sunday afternoon or your next holiday celebration? Make a Lasagna, Gnocchi or Broccoli Cheese Soup! These 19 Best Soup Recipes will make a gourmet addition to your menu no matter the occasion! Oh… and they’re really really easy to make! You can make your delicious homemade soup for free when you shop using Free Grocery Gift Cards from Swagbucks!